The CarePoint Vet U-100 Insulin Syringes 29G 3/10cc 1/2" Box of 100, model #12-7903, has been specifically designed to assist you with your pet's diabetes care plan. CarePoint Vet insulin syringes are available in both U-40 and U-100 capacities with a wide selection of needle lengths and gauges available to choose from. These syringes are being offered in both single and discounted case quantities for your convenience. The CarePoint Vet U-100 Pet Syringes 29G 3/10cc 1/2" Box of 100 provides large, bold, easy-to-read permanent markings for accurate dosage and lubricated needles for injection comfort. For use with U-100 Insulin ONLY. excellent all around-product, service, shipping time. 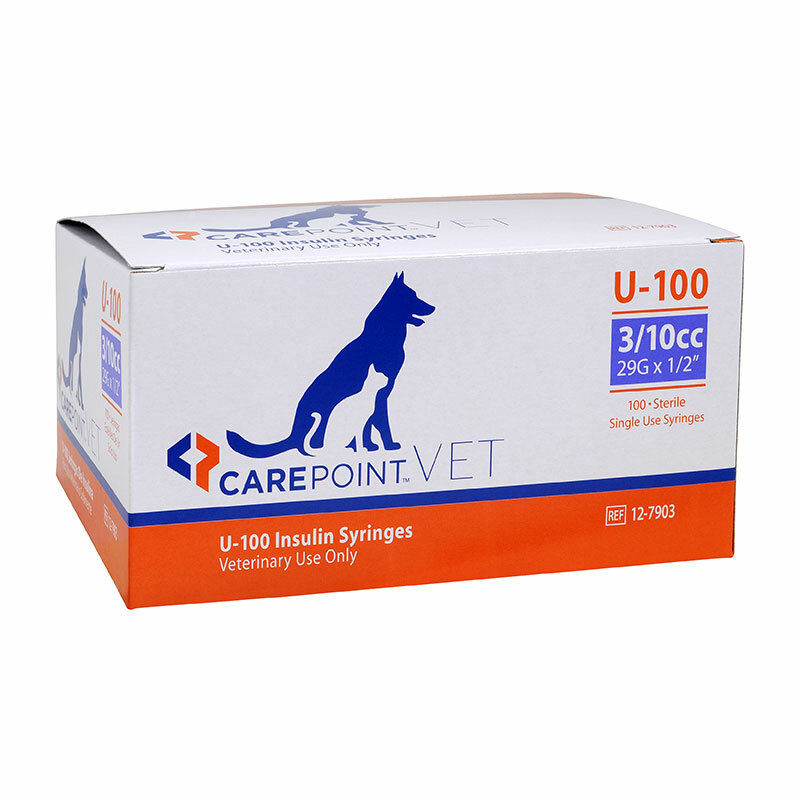 The CarePoint Vet U-100 Pet Syringes 29G 3/10cc 1/2" Box of 100 are the best product. Above all l, after placing my order, my package was delivered in a few days in perfect condition. Fabulous price for a great product. And it's delivered. This product is good for people who are on a budget. I have bought better quality needles elsewhere, but I have also paid so much more for them and it's difficult to afford them. When I discovered the ADW website I was so happy to get a product that was within my budget and still of quality.